The lake, discovered earlier this year, lies in a subterranean hall 86 m (282 ft) long, 27 (89 ft) m wide and 15 m (49 ft) high. An underground thermal lake Hungarian officials say is one of the biggest in the world was unvelied on Tuesday after its discovery below a Turkish bath in the capital Budapest. "This is the biggest active, water-filled thermal water cave and hall in the world," speleologist Sandor Kalinovits, one of the lake's discoverers, said during a tour of the cave below one of Budapest's more affluent residential districts. The lake, discovered earlier this year, lies in a subterranean hall 86 m (282 ft) long, 27 (89 ft) m wide and 15 m (49 ft) high and belongs to the Janos Molnar cave. Budapest is built above a labyrinth of caves filled with warm thermal water and many have only partially been explored. 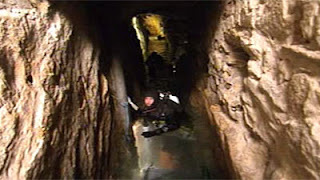 Environment Minister Imre Szabo told reporters the cave might be opened to the public. 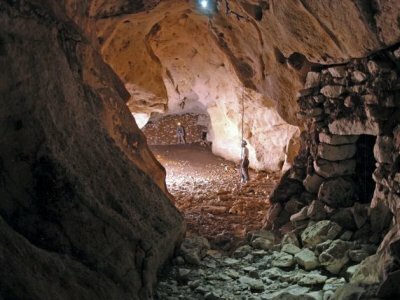 City officials plan to apply to UNESCO to declare the cave system a World Heritage Site. The Ottoman Empire, which governed Hungary in the 17th century, left a legacy of Turkish baths which remain extremely popular with local residents as well as tourists.